Halloween is just around the corner. Help ensure it doesn’t become ‘scarier’ for students with nut allergies. Home-made treats can easily be ’contaminated’ and become a very real danger for our anaphylactic students. Consequently, we request that home-made snacks/treats NOT be brought into the school as the risk to student safety is deemed too great. Purchased items that are labeled nut-safe are a good alternative. Education is our best defense. Consider give non-edible treats. In addition, there are some students in the school who have a life threatening anaphylactic reaction if they come in contact with shellfish. Therefore, please refrain from making lunches or snacks that have shellfish in them, along with no nuts/peanuts. We understand that this is a further challenge to finding appropriate foods that your child will like and eat at school. However, if it was your child who was anaphylactic, you would do everything in your power to keep your child safe. 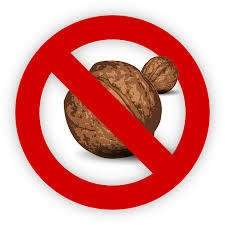 Let us all work as a Catholic and caring community to give these precious children the peace of mind that the school will be nut/peanut/shellfish safe. Thank you for your cooperation in this matter.